Obesity has become an important global health issue. Over the last few decades, the increasing burden of obesity has resulted in ever increasing prevalence of metabolic and cardiovascular complications. Both insulin resistance and inflammation play an important role in linking obesity with cardiovascular disease (CVD). In obese people, adipose tissue undergoes substantial remodeling including hypertrophy, possibly hampering the normal physiological functions. These hypertrophic adipocytes produce an increase amount of non-esterified fatty acids (NEFAs), hormones and inflammatory cytokines that are strongly involved in the pathogenesis of CVD. Early diagnosis and lifestyle modifications including weight loss, healthy diet intake and increased physical activity could of great importance in management and prevention of these disorders. Adipose Tissue, Insulin Resistance, Inflammatory Cytokine, Non-Esterified Fatty Acid, Weight Loss. Ades, P.A., & Savage, P.D. (2014). Potential benefits ofweight loss in coronary heart 6isQasQ. Progress in Cardiovascular Diseases, 5d(4), 448-456. Boden, G., & Salehi, S. (2013). Why does obesity increase the risk for cardiovascular disease? Current Pharmaceutical Design, 7P(32), 5678-5683. Canoy D. (2008). Distribution of body fat and risk of coronary heart disease in men and women. Current Opinion in Cardiology, 23(6), 591-598. Carey, V.J., Walters, E.E., Colditz, G.A., Solomon, C.G., Willett, W.C., Rosner, B.A., Speizer, F.E., & Manson, J.E. (1997). Body fat distribution and risk of non-insulin- dependent diabetes mellitus in women. The nurses' health study. American Journal ofEpidemiology, 745(7),614-619. Castro, A.M., Macedo-de la Concha, L.E., & Pantoja-Melendez, C.A. (2017). Low- grade inflammation and its relation to obesity and chronic degenerative diseases. RevistaMedica del Hospital General deMexico, 80(2), 101-105. DeClercq, V., Taylor, C., & Zahradka, P. (2008). Adipose tissue: The link between obesity and cardiovascular disease. Cardiovascular and ^Hematological Disorders- DrugTargets, 8(3), 228-237. Despres, J.P., Moorjani, S.,Ferland, M., Tremblay, A., Lupien,P.J., Nadeau, A., Pinault, S., Theriault, G., & Bouchard, C. (1989). Adipose tissue distribution and plasma lipoprotein levels in obese women. Importance of intra-abdominal fat. Arteriosclerosis, 9(2), 203-210. Devjit, T., Priya, M., Sandeep, D., Tufail, S., Husam, G., Ahmad, A., & Paresh, D. (2003). Elevation of free fatty acids induces inflammation and impairs vascular reactivity in healthy subjects. 52(12), 2882-2887. Fain, J. N., Madan, A. K., Hiler, M. L., Cheema, P., & Bahouth, S. W. (2004). Comparison of the release of Adipokines by adipose tissue, adipose tissue matrix, andAdipocytes from visceral and subcutaneous abdominal adipose tissues of obese humans. Endocrinology Philadelphia, 145,2273-2282. Ferrannini, E., & lozzo, P. (2006). Is insulin resistance atherogenic? A review of the evidence. Atherosclerosis: Supplements, 7(4), 5-10. Grundy, S. M. (2004). Obesity, metabolic syndrome, and cardiovascular disease. The Journal of Clinical Endocrinology and Metabolism, 89(6), 2595-2600. Guh, D. P., Zhang, W., Bansback, N., Amarsi, Z., Birmingham, C. L., & Anis, A. H. (2009). The incidence of co-morbidities related to obesity and overweight: A systematic review and meta-analysis. BMC Public Health, 9(1), 88. doi:10.11 86/1471-2458-9-88. Hubert, H. B., Feinleib, M., McNamara, P. M., & Castelli, W. P. (1983). Obesity as an independent risk factor for cardiovascular disease: A 26-year follow-up of participants in the Framingham heart study. Circulation, 67(5), 968-977. Ibarra, J. (2009). Obesity and cardiovascular disease. The Journal of Lancaster General Hospital, 4(A), 130-133. Institute for Health Metrics and Evaluation (IHME) (2014). Global Burden of Disease (GBD) Database. IHME, University of Washington, Seattle, WA. Available from http://www.healthdata.org/gbd/data. Karpe, F., Dickmann, J. R., & Frayn, K. N. (2011). Fatty acids, obesity, and insulin resistance: Time for a reevaluation. Diabetes dO(lO), 2441-2449. Kennedy, A., Martinez, K., Chuang, C.C., LaPoint, K., & McIntosh, M. (2009). Saturated fatty acid-mediated inflammation and insulin resistance in adipose tissue: Mechanisms of action and implications. Journal of Nutrition Baltimore and Springfield Then Bethesda, 759(1), 1-4. Kissebah,A. H., Vydelingum, N., Murray, R., Evans, D. J.,Hartz,A. J., Kalkhoff, R. K., & Adams, P. W. (1982). Relation of body fat distribution to metabolic complications of obesity. The Journal of Clinical Endocrinology andMetabolism, 54(2), 254-260. Kotronen, A., Westerbacka, J., Bergholm, R., Pietilainen, K. H., & Yki-Jarvinen, H. (2007). Liver fat in the metabolic syndrome. The Journal of Clinical Endocrinology andMetabolism, 92(9), 3490-3497. Krauss, R.M., Winston, M., & Feltcher, B.J. (1998). Obesity: Impact on cardiovascular disease. Circulation, 98, 000-000. Krotkiewski,M.,Bjo"mtorp,P., Sjo"stro"m, L., & Smith, U. (1983). Impact of obesity on metabolism in men and women. Importance of regional adipose tissue distribution. Journal of Clinical Investigation, 12,1150-1162. Lapidus, L., Bengtsson, C., Larsson, B., Pennert, K., Rybo, E., & Sjo"stro"m, L. (1984). Distribution of adipose tissue and risk of cardiovascular disease and death: A12 year follow up of participants in the population study of women in Gothenburg, Sweden. British Medical Journal, 289, 1257-1261. Large, V., Reynisdottir, S., Langin, D., Fredby, K., Klannemark, M., Holm, C., & Amer, P. (1999). Decreased expression and function of adipocyte hormone-sensitive lipase in subcutaneous fat cells of obese subjects. Journal of Lipid Research, 49(11), 20592066. Lastra, G., & Sowers, J. R. (2013). Obesity and cardiovascular disease: Role of adipose tissue, inflammation, and the renin-angiotensin-aldosterone system. Hormone Molecular Biology and Clinical Investigation, 75(2), 49-57. Lau, D. C., Dhillon, B., Yan, H., Szmitko, P. E., & Verma, S. (2005). Adipokines: Molecular links between obesity and atheroslcerosis. American Journal of Physiology: Heart and Circulatory Physiology, 288(5), 2031-2041. Lavie, C. J., Milani, R. V., & Ventura, H. O. (2009). Obesity and cardiovascular disease: Risk factor, paradox, and impact of weight loss. .Journal of the American College of Cardiology, 55(21), 1925-1932. Lavie, C. J., Morshedi-Meibodi, A., & Milani, R. V. (2008). Impact of cardiac rehabilitation on coronary risk factors, inflammation, and the metabolic syndrome in obese coronary patients. Journal of the Cardiometabolic S-yndrome, 5(3), 136-140. Lavoie, F., Frisch, F., Brassard, P., Normand-Lauziere, F., Cyr, D., Gagnon, R., Drouin, R., &Carpentier, A. C. (2009). Relationship between total and high molecular weight adiponectin levels and plasma nonesterified fatty acid tolerance during enhanced intravascular triacylglycerol lipolysis in men. Journal of Clinical Endocrinology and Metabolism, 94(3), 998-1004. Libby, P., Ridker, P.M., Maseri, A. (2002). Inflammation and atherosclerosis. Circulation, 795(9), 1135-1143. 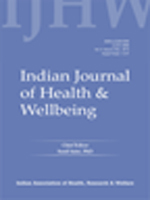 Neff, K. J., Chuah, L. L., Aasheim, E. T., Jackson, S., Dubb, S. S., Radhakrishnan, S. T., Sood, A. S., & Miras, A. D. (2014). Beyond weight loss: Evaluating the multiple benefits of bariatric surgery after roux-en-y gastric bypass and adjustable gastric band. Obesity Surgery, 24(5), 684-691. National Institutes ofHealth (1998). Clinical guidelines on the identification, evaluation, and treatment of overweight and obesity in adults: The evidence report: National institutes of health. Obesity Research, 2, 51S-209S. Nigro, J., Osman, N., Dart, A. M., & Little, P. J. (2006). Insulin resistance and atherosclerosis. Endocrine Reviews, ‘27, 242-259. Papanicolaou, D. A., & Vgontzas, A. N. (2000). Interleukin-6: The endocrine cytokine. The Journal of Clinical Endocrinology and Metabolism, 55(3), 1331-1333. Poirier, P., & Eckel, R.H. (2002). Obesity and cardiovascular disease. Current Atherosclerosis Reports, 4,448-453. Poirier, P., Giles, T. D., Bray, G. A., Hong, Y., Stem, J. S., Pi-Sunyer, F. X., & Eckel, R. H. (2006). Obesity and cardiovascular disease: Pathophysiology, evaluation, and effect of weight loss: An update of the 1997 American heart association scientific statement on obesity and heart disease from the obesity committee of the council on nutrition, physical activity, and metabolism. Circulation, 775(6), 898-918. Popkin, B. M., Adair, L. S., & Ng, S. W. (2012). Global nutrition transition and the pandemic of obesity in developing countries. Nutrition Reviews, 79(1), 3-21. Reaven, G. M. (1988). Role of insulin resistance in human disease, diabetes, 57(12), 1595-1607. Registrar General of India (2015). Report on medical certification of cause of death 2013. office of the registrar general. New Delhi, India. Available from http://www.censusindia.gov.in/2011-Documents/mccd_Reportl/Mccd_2013.pdf. Reynisdottir, S., Langin, D., Carlstrom, K., Holm, C., Rossner, S., & Amer, P. (1995). Effects of weight reduction on the regulation of lipolysis in adipocytes of women with upper-body obesity. Clinical Science (London, England : 1979), 59(4), 421429. Ross, R., Aru, J., Freeman, J., Hudson, R., & Janssen, I. (2002). Abdominal adiposity and insulin resistance in obese men. American .Journal of Physiology, 252(3), E657- E663. Stiefel, P., Vallejo-Vaz, A. J., Garcia Morillo, S., & Villar, J. (2011). Role of the renin- angiotensin system and aldosterone on cardiometabolic syndrome. International Journal of Hypertension. Article ID: 685238. Sam, S., Haffner, S., Davidson, M. H., D, A. R. B., Feinstein, S., Kondos, G., Perez, A., & Mazzone, T. (2008). Relationship of abdominal visceral and subcutaneous adipose tissue with lipoprotein particle number and size in type 2 diabetes.Diabetes New York, 57(8), 2022-2027. Sjostrom, L. (2007). Effects of bariatric surgery on mortality in Swedish obese subjects. New England Journal of Medicine, 557(8), 741-752. Smith, S. R., & Wilson, P. W. F. (2006). Free fatty acids and atherosclerosis-guilty or vwRocewYl Journal of Clinical Endocrinology and Metabolism, 97(7), 2506-2508. Sowers, J.R. (1998). Obesity and cardiovascular disease. Clinical Chemistry, 44(8), 1821-1825. Taggart, P., & Carruthers, M. (1971). Endogenous hyperlipidaemia induced by emotional stress of racing driving. Lancet (London, England), 7(7695), 363-366. Torquati, A., Wright, K., Melvin, W., & Richards, W. (2007). Effect of gastric bypass operation on Framingham and actual risk of cardiovascular events in class II to III OhQsity. Journal of the American College of Surgeons, 294(5), 776-782. Van, G. L. F., Mertens, I. L., & De, B. C. E. (2006). Mechanisms linking obesity with cardiovascular disease. Nature London, 444(7121), 875-880. Villareal, D. T., Apovian, C. M., Kushner, R. F., & Klein, S. (2005). Obesity in older adults: Technical review and position statement of the American society for nutrition andNAASO, The obesity society. Obesity Research, 75(11), 1849-1863. Wang, Y., Rimm, E. B., Stampfer, M. J., Willett, W. C., & Hu, F. B. (2005). Comparison of abdominal adiposity and overall obesity in predicting risk of type 2 diabetes among men. TheAmerican Journal of Clinical Nutrition, 57(3), 555-556. World Health Organisation (2017). Obesity and overweight. Factsheet updated 2017. Available fromhttp://www.who.int/mediacentre/factsheets/fs311/en/index.html. World Health Organization (2017). Cardiovascular diseases (CVDs). Factsheet updated May, 2017. Available from http://www.who.int/mediacentre/factsheets/ fs317/en/. World Health Organization (2000). Obesity: Preventing and managing the global epidemic. WHO Technical report series No. 894. Geneva. World Health Organization. Zeni, A. I., & Hoffman, M.D. (n.d.). Energy expenditure with indoor exercise machines. Journal of American Medical Association, 275,1428-1431. Zhang, C. (2008). The role of inflammatory cytokines in endothelial dysfunction. Basic Research in Cardiology, 795(5), 398-406.